Creating a formulation that can combine the nutritional benefits of protein along with great taste into a clear beverage has been a challenge for many food manufacturers. Some protein sources give an unpleasant “off” taste that changes flavor profiles, while others separate, settle to the bottom or gradually thicken over time or under heat processing, resulting in a turbid or cloudy appearance. Some food scientists have felt the frustration of painstakingly trying to formulate clear protein beverages with repeated poor results. The issues may not necessarily be attributed to incorrect ratios or technique; rather, to the type of ingredients being used in their formulations and testing. The key in creating a superior formulation depends on the sourcing of ingredients. Using suppliers whose products have not been specifically produced to achieve clarity or may contain impurities and contaminants will inevitably result in inferior outcomes. Try as they may, food scientists who attempt to meticulously develop the perfect formulation using poor quality ingredients — no matter how experienced — will inevitably be disappointed in the results. Ingredients matter. 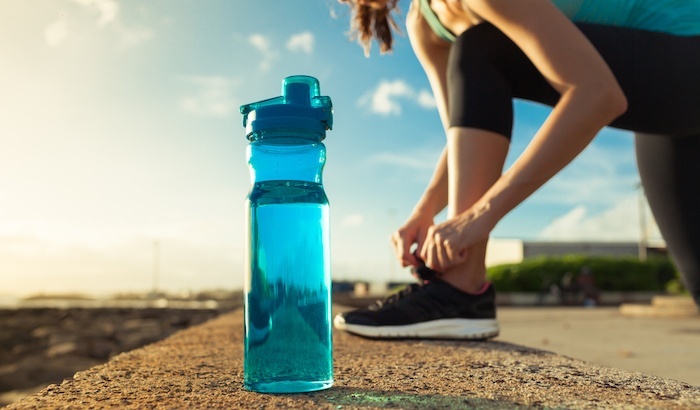 When formulating RTD beverage applications using whey protein isolates (WPIs) in sports and protein drinks, energy drinks, juices, flavored water and nutritional supplements, you’ll want to make sure the choice is clear — both in its application and in its ability to assure that it’s free of contaminants or artificial additives. As seen on the following results from laboratory testing of leading whey protein isolates, Grande Ultra® outshines the competition for its ability to fortify protein content while providing clarity and clean flavor profiles in your beverage applications. 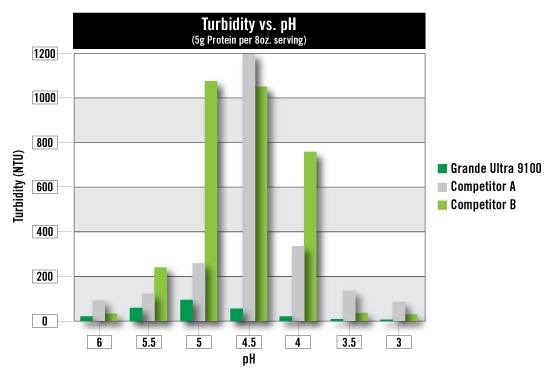 Grande Ultra remains consistently clear across varying pH levels when measuring for Nephelometric Turbidity Units (NTU), meaning it can be used in a wide range of beverage applications. This is especially important for beverage manufacturers that formulate several flavor profiles and products; they won’t need to rely on multiple WPIs from various suppliers and can achieve consistent pricing and sourcing to achieve the results they desire. Clearly, Grande Ultra whey protein isolate is the gold standard. To learn more about how this proprietary, patented product can improve your beverage formulation, see how it worked for a well-known beverage manufacturer in our Grande Ultra Protein Drink Case Study below.